Located in Manhattan's Central Park, the Central Park Zoo is a great choice for animal lovers who want a taste of wildlife while visiting Central Park. The Tisch Children's Zoo offers visitors a variety of interactive activities for children, including a petting zoo, climbing activities, and performances. Visitors to the Central Park Zoo will be impressed with the breadth of animals on display. The Central Park Zoo is home to a variety of animals, including seals, sea lions, penguins, snakes, bugs, monkeys, and birds. From a steamy rain forest environment to an icy Antarctic penguin habitat, the zoo offers visitors a chance to see animals of all shapes and sizes from a variety of climates. Visitors will find the zoo appealing because of its convenient location in Central Park, as well as its digestible size -- you can see the entire zoo in about 2 hours. The Tisch Children's Zoo is located a short walk from the Central Park Zoo and offers young visitors the opportunity to pet and feed animals, as well as plenty of places for safely climbing and exploring. The Central Park Zoo may be the oldest municipal zoo in the United States. Even before there was an official area designated as a zoo, animals were present in Central Park. There was even a bear cub that lived in the park as it was being constructed in the late 1950s. In 1861 state legislation authorized the creation of a "zoological garden" and it was built in the area behind the arsenal. Rich New Yorkers started donating rare animals to the space. General Custer, for example, gave a rattlesnake. General Sherman brought over an African cape buffalo. The zoo even got a tiglon, an offspring of a lion and a tiger. Locals flocked to the zoo to see these creatures, and visitor numbers grew. By 1902 three million people visited annually. Since then the zoo was renovated many times to better serve the animals, and more amenities (like areas for sea lions and polar bears) were built. Today's visitors can still see relics from the old zoo including limestone reliefs by Frederick G. R. Roth of wolves, antelopes, birds, monkeys, lions, and wolves. Central Park Zoo is located at East 64th Street, New York, NY 1002, at the southeast corner of Central Park. The easiest way to get there by far is public transportation. By Subway you can take the N, R, or W trains to Fifth Avenue/59th Street Station. Or you can take the 6 Train to 68th Street/Hunter College station. Parking is very difficult in this neighborhood, so it's strongly discouraged. If you want to arrive by car Uber, Lyft, or Via is the way to go. Total experience tickets include the main zoo, Tisch Children's Zoo, and 1 entry to the 4-D Theater. These tickets cost $19.95 for visitors 13 and over; $14.95 for children 3 - 12; and $16.95 for seniors. Children 2 and under are always admitted for free. A more affordable option is to get general admission tickets, which give you access to all the zoo's animal exhibits. These cost $13.95 for visitors 13 and over; $8.95 for children 3 - 12; and $10.95 for seniors. Sadly the Central Park Zoo has no free admission day. The park changes hours based on the season. The winter hours are 10:00 AM to 4:30 PM daily. In summer the park is open Monday to Friday, 10:00 AM to 5:00 PM. Summer weekends and holidays the park is open 10:00 AM to 5:30 PM. Keep in mind last admission is 30 minutes before the park closes. There are different activities during the day like sea lion and penguin feedings. Check the daily schedule on the website before your visit to plan your day. 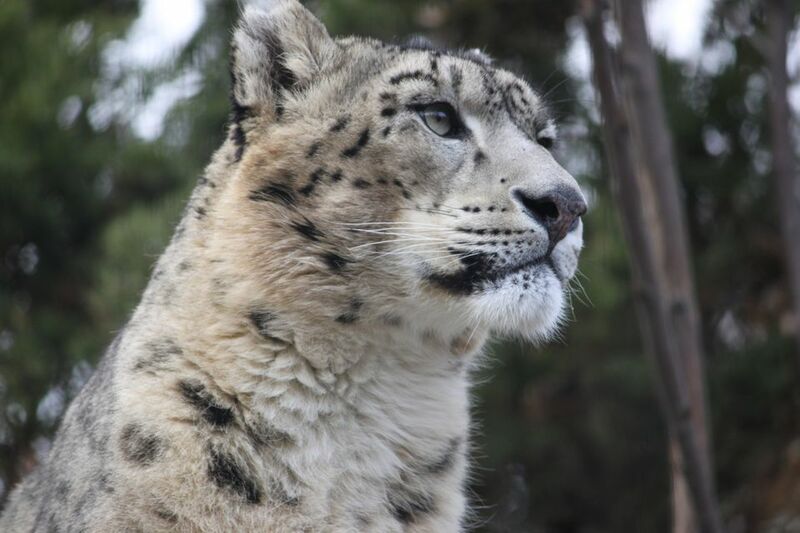 One of Central Park's most exotic creatures are the snow leopards. Even when they are sleeping they are beautiful. When they are awake and chasing their prey they can jump up to 30 feet at one time. The polar circle houses penguins and puffins. It's amazing to see these creatures, that mostly live in super cold climates, thriving in New York City. It's impossible to miss the sea lion pool. It's in the middle of the zoo, and the sea lions love to perform for visitors. You can see them chasing each other and bobbing their heads out of the water. They are especially active during the scheduled sea lion feeding. In the tropical zone you'll find beautiful creatures like peacocks and lemurs running around freely. They aren't caged so be prepared for birds to fly over your head or walk right in front of you. If you have little ones in tow make sure this won't scare them. If you have small children don't miss the Tisch Children's Zoo inside Central Park Zoo. Here children can get up close and personal with goats, sheep, a cow, and a Vietnamese pot-bellied big. Those that are so inclined can even pet them! There are food dispensers for children to feed the animals. It's so fun to see children giggle as animals nibble out of their small hands. If live animals aren't your child's preference, there are play areas with model turtles, fish, and rabbits. There are even animal statues that make noises as kids touch them. In the enchanted forest kiddies will find giant trees and acorns. There are live turtles, frogs, and birds in this area. The Dancing Crane Cafe offers meals, snacks, beverages and desserts perfect for children. There are hot dogs, sandwiches, and french fries but also healthier options. You may also bring your own food to the zoo to enjoy at any of the seating areas around the zoo. (Check out this list of Places To Pack A Picnic for Central Park for ideas!) There aren't that many grocery stores around Central Park, so plan accordingly and bring food from home or close to your hotel. There is a gift shop in the zoo named the Zootique. You can get stuffed animals, children's books, toys, games, and more. For those unable to walk long distances free wheelchairs are available at the ticket window on a first come, first served basis. You may bring a stroller. At some exhibits you must park them outside, but those stations are clearly marked. Pets are not admitted into the park. They might scare the animals! Do not feed the animals (except in the petting zoo), bang on the glass, or do anything else to disturb them.